You don’t need weeks of vacation time to sneak away from your everyday Denver routine. 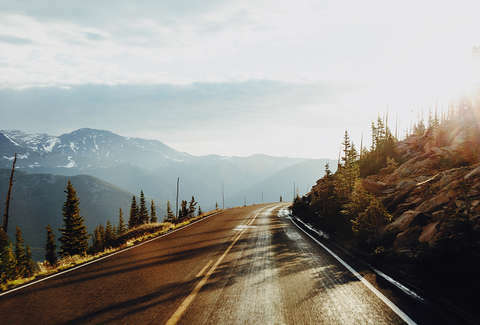 In the Mile High, mountain adventures are just a short road trip away. Steamboat Springs is about a three hour drive from the city, and with the right plan, you can pack a whole lot of memories into one easy trip. So load up on the snacks, get your Rocky Mountain playlist prepped, and fill up the gas tank. It’s time to hit the road for a scenic jaunt packed with photo ops and Old West-style fun. Once you reach the foothills about 20 minutes from downtown Denver, this scenic spot is just a quick detour off I-70. The shrine itself was built in honor of Saint Frances Xavier Cabrini and the 373 steps to the top are a great way to get a dose of fresh air before settling in for the rest of your trip. Once you conquer those stairs, you’ll be rewarded with a road trip kick-off photo op featuring views of the city below. Before you get back on the road, get in touch with your inner “om” in the meditation garden -- it’ll help you combat the stress of any traffic that might lie ahead. Idaho Springs, only about 40 minutes from Denver, feels like a trip (way) back in time. 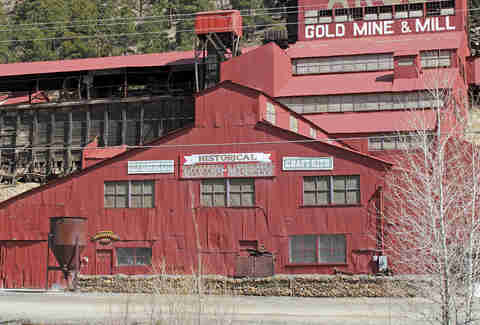 The gold rush in the area kicked off in 1859, and this site was the hub for all the action. At the time of its construction, the mining tunnel built here was intended to become the longest tunnel in the world. Those plans didn’t exactly “pan” out (get it?) and the tunnel met a watery fate. Now, you can visit to learn more about the town’s pioneer history, or walk a few feet out of town to hop on one of the area’s wooded trails. A 40 minute drive from Idaho Springs, the town of Silverthorne is where you’ll exit I-70 and start the journey down Highway 9. Sure, this town is best known among tourists for being home to outlet shops, but it’s time to go beyond that. Instead, take mini-detour to Dillon Dam Road. This large body of water is a mecca for fishing and boating but you can also find plenty of peaceful spots for soaking up the sunshine along the shore. With a summit of 9,426 feet, this may not be among Colorado’s tallest mountains, but it still boasts some mighty views, especially as you start to descend toward Steamboat Springs in the Yampa Valley below. There are several pull-offs where you can get a glimpse of the area’s lakes and acres upon acres of farmland. 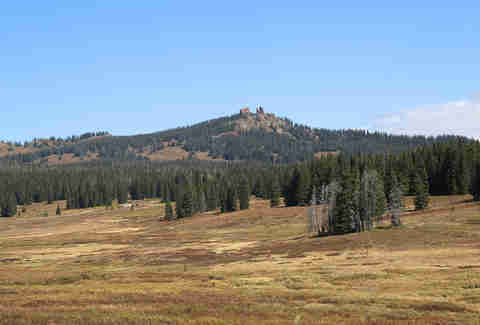 Or, if you want to get a glimpse of the mountains’ namesake rock formation that looks like (wait for it…) a pair of rabbit ears, make your way to the Rabbit Ears Peak Trail. In the summer, this five-mile round trip hike will score you some serious wildflower action too. So you’ve made it to Steamboat, now it’s time for the fun to really begin… yes, at a history museum. 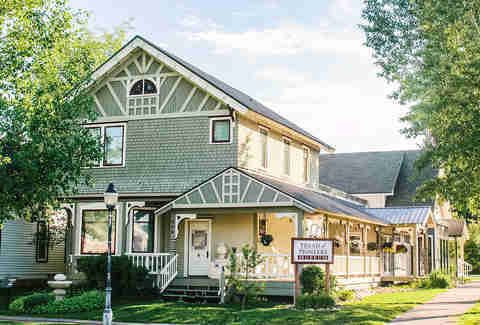 This ode to Steamboat’s past is built around a Victorian house form 1901 and it includes replica rooms filled with treasure from life long ago. Some of these are expected -- a kitchen complete with wood stove and hard-to-recognize tools, for instance. But many are totally unexpected including art made from human hair (really) and a child’s bedroom replete with antique teddy bears, china dolls, and tea sets that hauntingly speaks to years gone by. In the main area, exhibits tell a tale that features a messy past with the Native Americans from the area, its pioneer days, and the town’s storied Olympic history including a close-up view of a medal -- but no biting photo ops are allowed. 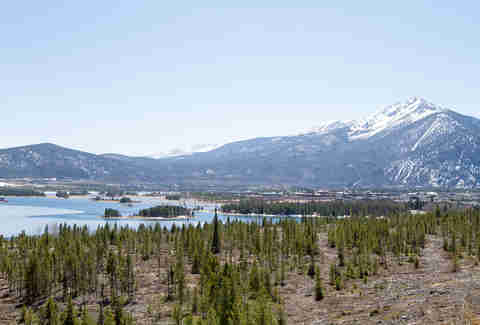 Disc-golf courses can be found all over the state, but not many are located on a world-class ski mountain. Bring along a frisbee and let the friendly competition begin at this 19-hole course. You get to spend some time in nature navigating the course which features both wide-open spaces and more secluded holes where you’ll have to get creative with your throwing. The course is open and free to any and all with no reservations needed, so it’s the perfect activity for those times when you don’t want to be stuck to a schedule. Molly Martin is a freelance writer in Denver, Colorado who is always up for a road trip. Follow her adventures @mollydbu on Twitter and Instagram.